Where I live it rarely snows. (I know, stop complaining.) However that doesn’t stop us from having the occasional snowball fight–in the classroom. Kids love it, I love it. 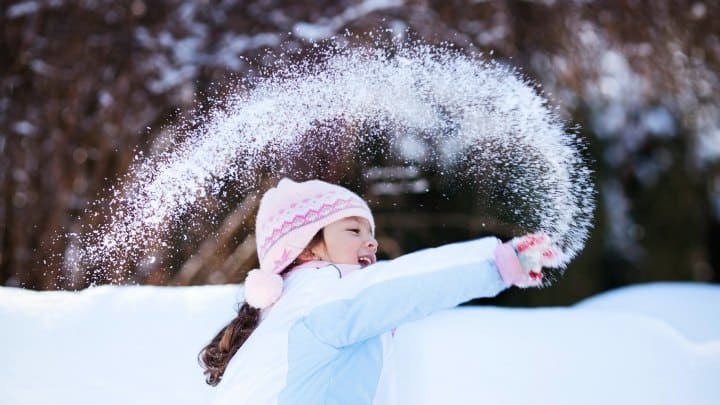 With a little preparation you can host a snowball fight in your own classroom or children’s church. Here are two party games that everyone will love! Paper Snowball Fight: Before class have a volunteer (or two) help you make two buckets of paper wads from a pack of notebook paper. Tape a line in the center of the play area. Put one bucket on one side and the other bucket on the other. Divide the class into two groups. Put one group on each side of the tape. (I like boys against girls because my kids are so competitive.) Once you give a word or began to play the music kids can began throwing snowballs. Let the snowballs flying about a minute then paused music or blow a whistle. The team that has the least amount of snowballs on their side is the winner. If you have a particularly spirited group remind down not to intentionally hurt one another. They should not a for anyone in particular but focused on getting the snowballs on the other side of the tape. Play several rounds of this game to determine the winner. Cotton Ball Race: This game is a bit more peaceful and less intense than the snowball fight described above. If you are looking for a game for a small classroom or for younger children than this is a good one. You would need a table, two bowls of cotton balls, two empty bowls and two plastic spoons. Put the empty bowls on one end of the table and the bowls full of cotton balls on the opposite end. Divide the class into two groups and line them up at the end of the table. When you give the signal, the first person in line takes the spoon, scoops up a cotton ball, (only using the spoon) walks it to the empty bowl and drops it in. If the child loses the cotton ball on the way he has to start over. The first team to empty their bowl is the winner. Tony Kummer (Editor) reviewed & updated this page on : December 8, 2015 at 10:54 am. All our content is peer reviewed by our readers, simply leave a comment on any post suggest an update.